Line a regular muffin pan (12 wells) with muffin liners as well as 1 large cupcake pan (8 wells) or 2 x regular muffin trays. In a large blender bowl, combine sugar, eggs, applesauce, VOO, Coconut Milk, and vanilla and blend until frothy. I used a Vitamix and turned it up to maximum speed for 2 minutes. Mix All-purpose and coconut flour, salt, cinnamon, baking soda and baking powder with a small hand whisk. Add dry mixture into wet mixture in the blender, give it a quick blend, just until combined. If required, use a plastic spatula and scrape down the sides and mix the last bits through. Use an ice cream scoop to fill liners only approximately ¾ of the way. Mix the soaked raisins with approximately 15ml flour just to cover them. This will help that they do not sink to the bottom of your muffin. Divide the raisin mixture between the muffins and ever to gently press them into the muffin dough. They should still be visible. You can add some whole pecans on some muffins and also if you would like some extra sweetness, 5-7 chocolate morsels. Bake for 25 minutes or until an inserted toothpick comes out clean. Leave it to cool for 10 minutes in a muffin pan and only then remove to a cooling rack. 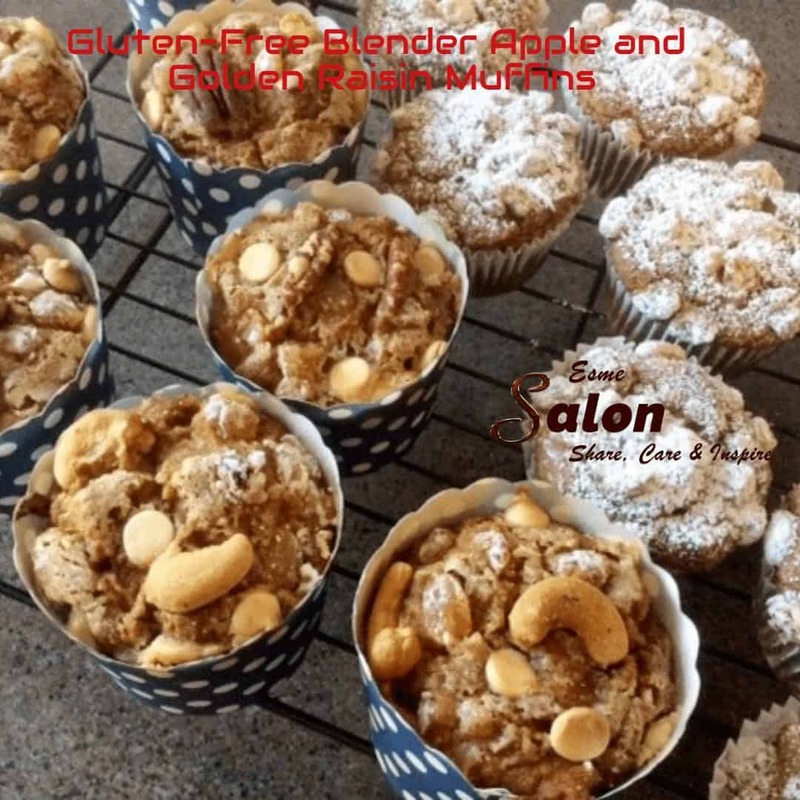 WOW, I totally experimented with these muffins, made it up as I went along, used what I found in the cupboard and I am happy to say, it turned out so well. It’s moist, soft and fluffy. I normally struggle with GF as they tend to be very dense, but these although I made them myself, have to say, it’s a keeper in my books. I need to tell you this: This is a BIG win as my hubby is NOT the muffin man. First, he asked if I made it GF, and the answer to that: Yes, but try it as I am sure you will not taste the difference. He did and to my amazement, he went back and had a second one. 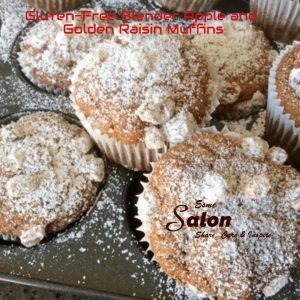 Gluten-free muffins Oh, do you know the muffin man, The muffin man, the muffin man, Oh, do you know the muffin man, That lives on Drury Lane?